Many people need to know what to believe about what they hear, see or are experiencing. The latest book, Big Q, Little Q, by a Friend of Medjugorje is doing just that. Above is an order for ten copies of the audio book. The audio book, just under 3 hours in length is a perfect traveling companion. The audio book, available as a download, a mp3 CD, or a 3-CD set, makes it easy to follow along while reading, or while on the road. The audiobook versions can be ordered online here. 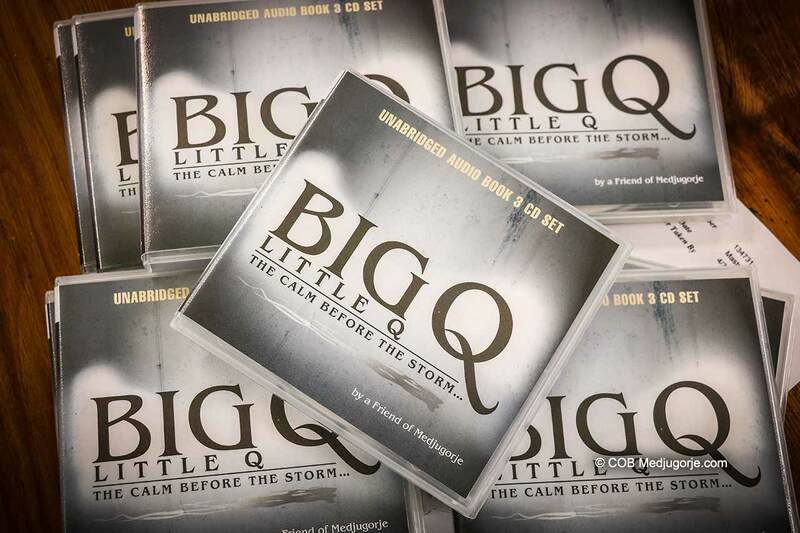 The fifth printing of Big Q, Little Q: The Calm Before the Storm…, ready to be shipped. The books are going out by the case, not only across the nation but all across the world. Big Q, Little Q, is introducing Our Lady in many ways to new people who would otherwise never learn of Medjugorje. Order online in bulk, for as little as $2 each!